Leonardo’s Mr. Fabio Cortese Aircraft Division Marketing & Sales Head of Turkey Sales, Mr. Italo Rossini Aircraft Division Marketing & Sales Regional Manager Middle East and North Africa and Mr. David Gourlay, Miysis DIRCM Campaign Manager Leonardo Airborne & Space Systems division met with Defence Turkey Magazine at the IDEF 2017 Exhibition to discuss; Leonardo’s long tradition of partnership with Turkey, the participation of the C-27J “Spartan” aircraft in the tender for the procurement of a tactical transport aircraft, and insight into Leonardo’s Directed Infrared Countermeasure System. 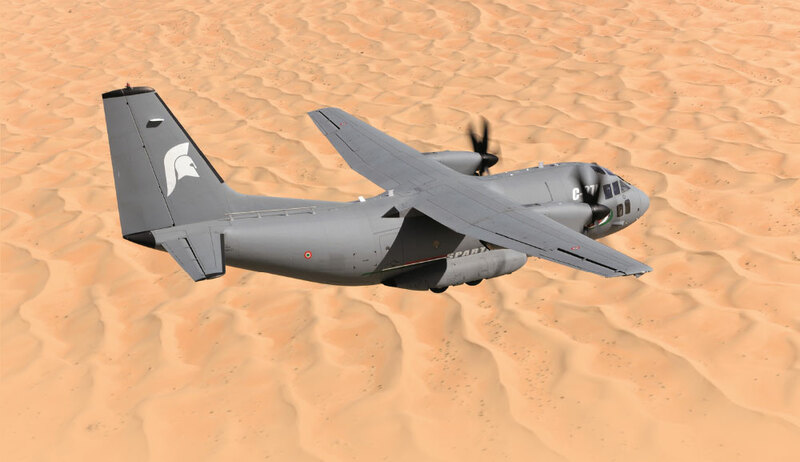 The Spartan is a twin-turboprop tactical airlifter with state of the art technologies in avionics, propulsion system and other on-board systems. Thanks to its very versatile design, the C-27J is ideal for roles including troop and materials transport, medical evacuation, paratroop and materials airdrops, search and rescue (SAR), logistic supply, humanitarian support, firefighting and civil emergency operations support. Purpose-designed kits also allow VIP transport and other missions. The aircraft can operate from airstrips under 500 meters. The two AE2100-D2/D2A engines are rated at 4,650 SHP. To increase safety and reliability, the avionics architecture is fully redundant and guarantees excellent performance and low pilot workload in whatever environmental condition and all operational theatres. Optional systems include air-to-air refueling, self-protection and head-up displays. The latest C-27J customer is Slovakia, which ordered two aircraft. Other customers are Australia, (10 aircraft), the United States (21, including 14 used by the Coast Guard and 7 for the Army Special Operations Command), Italy (12), Greece (8), Romania (7), Morocco (4), Mexico (4), Bulgaria (3), Lithuania (3), Peru (4), Chad (2) and an undisclosed sub-Saharan African country (2). Italy, Romania, and the United States also purchased C-27J aircrew training flight simulators from Leonardo’s Aircraft Division. The feedback is good and appetite for this aircraft is increasing worldwide. Mr. Cortese provided a recap of their growing customer base, saying “We have more than 80 aircraft ordered, starting obviously with the Italian Airforce, then Greece, several european customers, Bulgaria, Romania, Lithuania, then we expanded to North Africa with Morocco, then South America with Mexico. We had a big order from Australia, the aircraft has been selected by the Royal Australian Airforce (which is continuously giving us a lot of appreciation of the aircraft and good feedback) and it has been selected originally for the joint cargo aircraft in the US and now this same aircraft has been transferred to the US Coast guard. With a win-win aproach to partnership, Mr. Cortese commented on Leonardo’s strategy related to technology transfer “As Leonardo as a company we have a long tradition of cooperation, such as the famous programs as T129 “Atak” Helicopter and “Göktürk” Satellite, and in the case of this bid we are talking now with all of the main partners in Turkey in order to identify the collaboration which gives the best techonological transfer and obviously the economical return. Following the candid and very informative discussions with Mr. Cortese, the Miysis DIRCM (Directed Infrared Countermeasure) System was and discussed in detail. Mr. David Gourlay – Miysis DIRCM Campaign Manager Airborne & Space Systems provided insightful facts about the Leonardo DIRCM’s unique capabilities. Mr. Gourlay said “The Miysis DIRCM (Directed Infrared Countermeasure) System provides dependable, persistent protection from IR-guided missiles, including advanced, all-aspect Man Portable Air Defence Systems (MANPADS) missiles. This is to protect aircraft against MANPADS, a very prolific threat at the moment, very real to Turkey being so close to the action, so this is on your mind at the moment from a governmental view, not only the military aircraft but also important aircraft for government officials as well. It is important to note about the Leonardo DIRCM is the experience and knowledge which has gone into the system to make it capable of defeating the most advanced threats, but also it’s the smallest, so if you buy this system you can fit it to a small helicopter which may be on a very important mission, CSAR (Combat Search and Rescue) mission or a very crucial military mission. It weighs 15 kg. The overall system is the smallest and lightest DIRCM available but there is no compromise on performance. It’s the hightest performing DIRCM system. 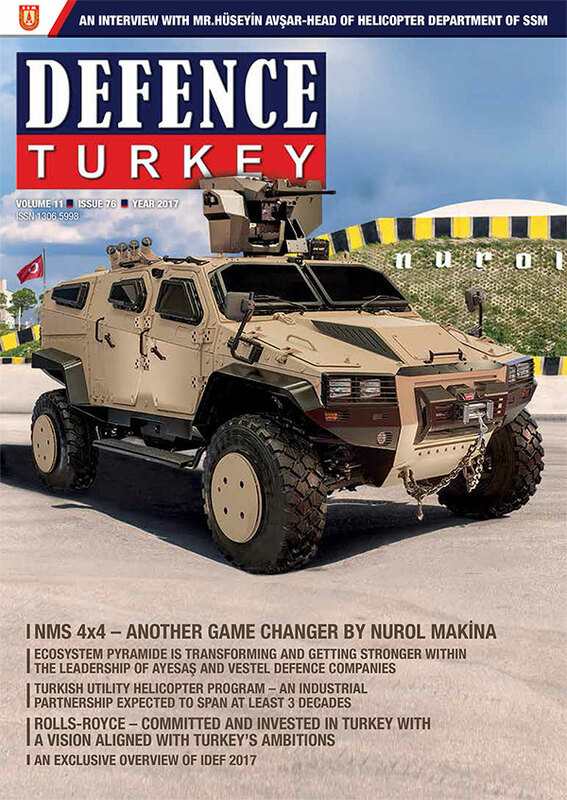 Mr. Gourlay stated that Turkey has had discussions with Leonardo regarding the DIRCM, stating “Yes, very much. Turkey as I said is closer than many to the threat. They also have a very capable Armed Forces and they understand the threat. I think they’re very interested. This can be used on any platform or any aircraft for governments only. It is sold only for governmental use. The system is now in production for our launch customer which is a NATO customer. It would be nice to have another NATO customer. It is far superior protection than flare systems which are undoubtedly cheaper, but if you need to protect your platform against the biggest threats. It’s completely autonomous.The best thing that a pilot can do is nothing (it’s very difficult for me to say because I used to fly in the Royal Airforce) let this system do the job, the pilot needs to fly the aircraft and know that the system is working. The flare systems will not provide the required protection against the MANPADS that we’ve all seen in Syria, they’re advanced threats. Range is not a problem, it will destroy the target as soon as it is identified. We recommend at least 2 heads, if you have an important enough aircraft or an important enough mission you want to make sure you are covered all around. This system can be used with UAVs – any airborne platform – if the customer decides it is necessary to have the top best level protection against MANPADS, this can be integrated. When you start to move towards unmanned platforms, space and weight is at a premium. You’re coming to the smallest and lightest DIRCM in the world. There are other DIRCMs in the world, but this is the smallest, lightest, but importantly it has the energy to kill the most advanced MANPADS, you need the power for the lazer. As I’ve mentioned, we have sold this to a NATO customer. We are expecting to sell next year to non NATO countries. The UK government and the American government made a big investment in DIRCM in about 2004-2005 when they fitted many aircraft with this particularly for Afghanistan, and I see Turkey as the next country to realize that DIRCM as a standard is the way forward. 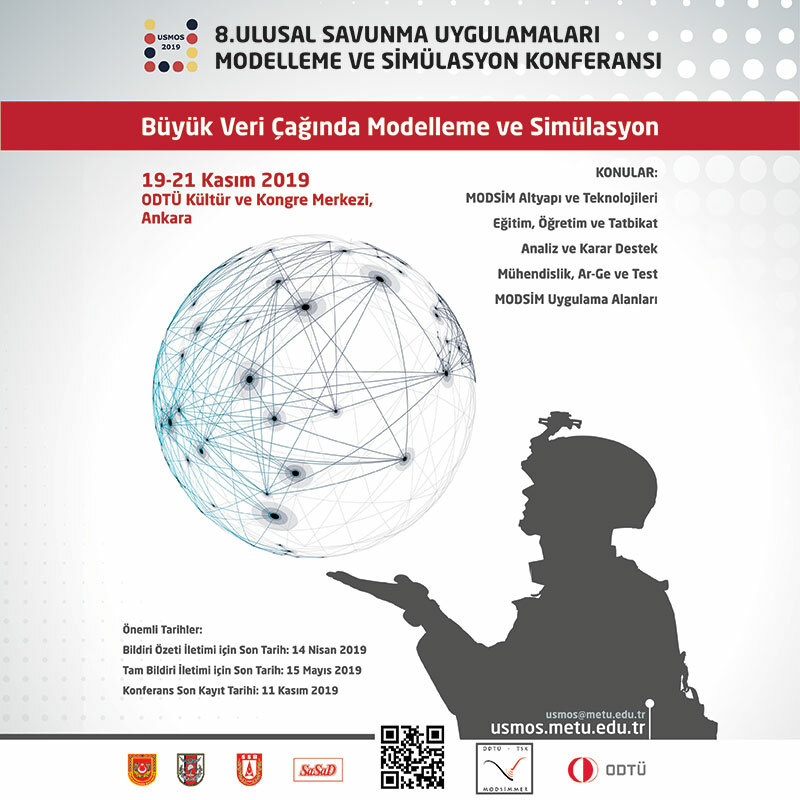 The sentiment yesterday from the UK government sends a good signal about advanced military technology from the UK going to Turkey.